Cinnamon Writer is intended for all amiga variants and a long goal of mine is to be able to provide AROS and MorphOS native versions. 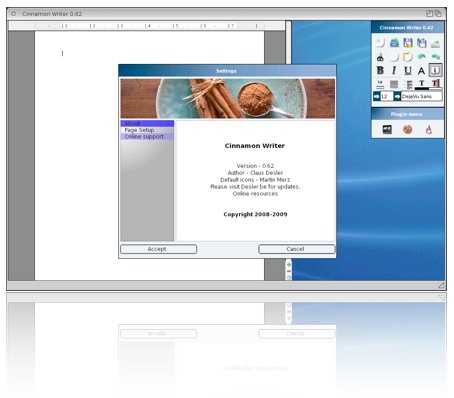 Cinnamon Writer is easy to port which only needs a few modifications and the freetype library to be ported. I am looking for coders that can help me port Cinnamon Writer. In effect only around of 300 lines of c++ needs to be ported. These lines primarily contain the code for window / mouse / keyboard control, so it should be a complete breeze for at experienced coder.